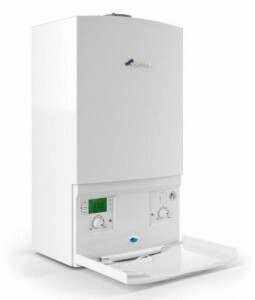 RMI Services offer a complete new Heating System installation incorporating our preferred boiler Worcester Bosch complete with zoned pipework, Quinn Compact Radiators, Thermostatic radiator valves, digital time-clocks and if preferred – remote control access using a Climote controller. Modern models of gas boilers can run at 90% efficiency. By installing a minimum of 2 heating zones in conjunction with a digital controller using this properly you can expect to save anything up to 40% on your heating costs. RMI Services recommends installing a Thermopanel for all your hot water needs which can be backed up by your new gas boiler installed as a separate zone if required. We can incorporate an expansive underfloor heating system to work in conjunction with your conventional radiators.